Higham was once home to one of England's greatest writers, Charles Dickens. It was at Gad's Hill place, Higham that he lived until his death in 1870. It was in the building's summer house that he wrote many of his later works. 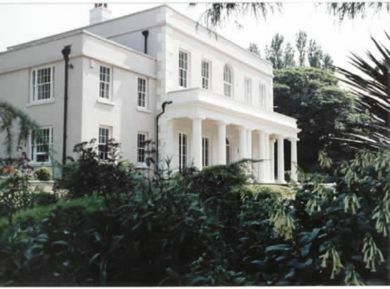 The house became Gad's hill school in 1942. Listed below are a few of our most popular local attractions. Click the name to visit their websites. 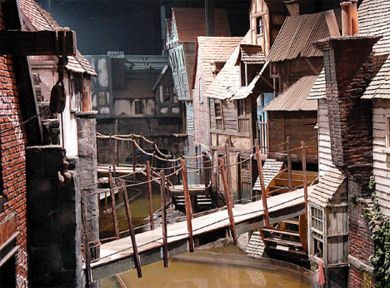 Dicken's World ~ An indoor Victorian themed attraction based on the life and works of Charles Dickens. Both fun and educational for the family. The little Hermitage ~ The Little Hermitage is a prestigious Grade II listed Georgian manor house, dating from the 18 th century, “The Age of Elegance” - the perfect wedding venue. The Historic Dockyard Chatham ~ The historic Dockyard is a great pleace to visit. Set in an 80-acre estate with stunning architecture, historic ships and museum galleries, the site offers a unique and rewarding visitor's experience. Bluewater shopping centre ~ The leading shopping and leisure destination in Europe. Rochester Castle & Cathedral ~ Rochester Castle is one of the best preserved and finest examples of Norman architecture in England. Cooling castle barn ~ sited on the historic scheduled monument of Cooling Castle, this idyllic setting has three barns - each with individual character, historic architecture and outstanding beauty.